Rosalie A. Long, 67, of Mill Hall passed away March 4, 2019 in the UPMC Lock Haven emergency room. She was born April 1, 1951 in Lock Haven to J. Nathan and Violet Whitesel Long. Rose was a 1969 graduate of the Bald Eagle Nittany High School, and a 1973 graduate of Messiah College with a degree in elementary education. 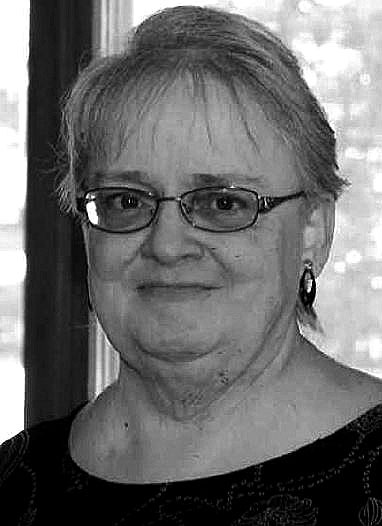 She taught at Mount Bethel Christian School in Hecla until its closure. She was a substitute teacher in the Keystone Central School district and worked at Building Blocks Daycare Center for several years. She most recently worked at Servant P.C. Although Rose did not have any children of her own, she enjoyed babysitting her nieces/nephews and her grand niece. Rose was actively involved many years in her church, Cedar Heights Brethren in Christ. She was a Sunday School teacher for many years, the church organist/pianist for many years, and was involved in the church choir in her earlier years and sang many solos. Her family was very important to her and she looked forward to the family gatherings on a regular basis. Rose had a very close friend, Nancy Wheeler, who she often planned outings with. She was especially fond of playing cards with Nancy and Rita on Sunday evenings. Survivors included two brothers; Richard (Patricia) Long, Dennis (Jainene) Long, a sister; Rita (Charles) Herr, two sister-in-laws; Gloria Long, Kendra Long and many nieces, nephews, and a grand niece. In addition to her parents, she was preceded in death by her brothers Gerald S. Long and Barry A. Long. Memorial services for Rosalie A. Long will be held on Sunday, March 10, 2019 at 3 p.m. in the Cedar Heights Brethren in Christ Church, 37 Cedar Heights, Mill Hall, Pa. Family and friends will be received in the church one hour prior to services. Officiating will be Pastor Scott Garman of the Cedar Heights Brethren in Christ Church. Family will provide the flowers and suggests that memorials be made in Rosalie’s name to the Cedar Heights Brethren in Christ Church, 37 Cedar Heights, Mill Hall, Pa. 17751. Services are under the direction of the Yost-Gedon Funeral Home & Cremation Services, LLC, 121 W. Main St., Lock Haven, Pa. 17745. Online thoughts and memories can be made a www.yost-gedonfuneralhome.com.